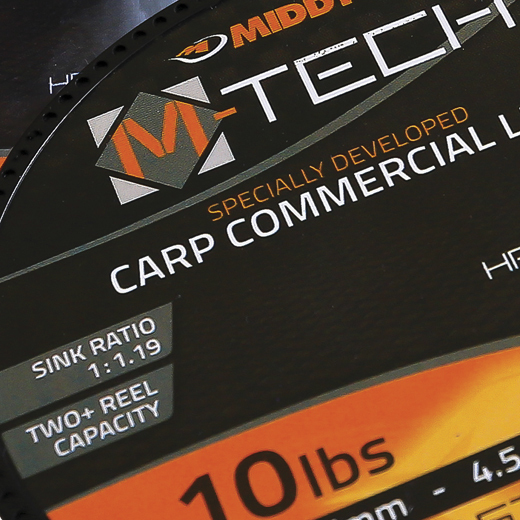 www.middytackle.com > Hints & tips >> General advice > WHAT IS SINK RATIO? M-Tech™ co-polymer line from MIDDY® has a 'sink ratio' stated on the spool - but what actually is a sink ratio? The density (ρ) of an object - which is a calculation of mass (m) divided by volume (V) - determines whether it floats or sinks. An object will sink in fluid/water if it has a higher density (ρ) than the fluid/water. The density (ρ) of co-polymer is approximately 19% higher than that of water. So, as a ratio (or 'sink ratio'), this is expressed as 1:1.19. Normal mono lines are around 8% higher density (ρ) than water, which is expressed as 1:1.08. M-Tech™ co-polymer line is therefore more dense than standard mono, so it will sink better.